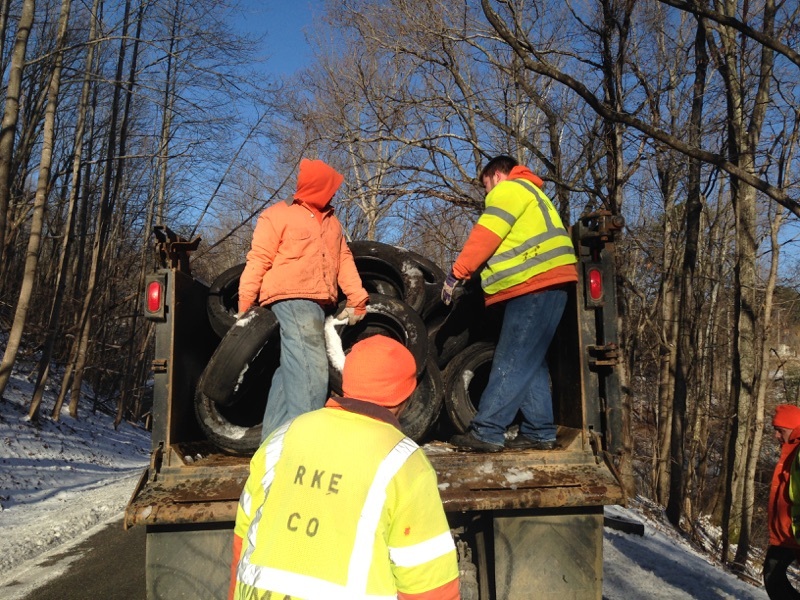 The Work Force works closely with the Roanoke County Parks and Recreation Department, which provides them with weekly tasks they are assigned to complete. During the spring, summer and fall months, the Work Force conducts extensive mowing and landscaping activities throughout various Roanoke County sites. These sites include, but are not limited to, several public parks, County Libraries, fire stations, Camp Roanoke, and the Fleet Center. During the winter, some of the work for the crew comes in the form of painting assigned County buildings, some landscaping details, snow removal, and general clean-up of county properties. The Work Force is comprised of highly screened and selected inmates. These inmates must meet strict criteria to be considered for this program. Sentenced inmates that are guilty of misdemeanors and are permitted to receive judicial good time from the sentencing court are considered optimal candidates for the program. By working on this program and receiving judicial good time, an inmate has the opportunity to dispose of some of his sentence, thus saving Roanoke County the costs of housing and feeding that inmate, and providing a labor force at no cost to the County. Roanoke County Park and Recreation provides training on the equipment used by the crew for all Work Force participants. The Work Force inmates are supervised by a Deputy Sheriff, who is specifically assigned to manage the crew. The Work Force works Monday through Friday, however the working hours may vary due to work assignment. The crew does not work weekends or holidays, but is on-call to handle unique situations such as snowfall or storm clean-up.